Anthem, AZ Events - Come Participate in our Go Green Event! It’s that time again… Anthem’s semi-annual Go Green Event! Or as I commonly refer to it – Shred Day! Our community’s home owner’s association has partnered with companies such as Republic Services (Allied Waste), Shred-it, Westech Recyclers, Safety-Kleen, Clean Harbors, and Big Brothers and Big Sisters to give Anthem residents the opportunity to recycle electronics, personal documents, paint, clothing and household hazardous waste items at this month’s special Go Green Event. The event is set for this Saturday, October 19 from 8 a.m.-1 p.m. in the Anthem Community Center parking lot – just south of the swimming pools at 41130 N Freedom Way in Anthem, AZ. So what can you expect from this event? How about a fantastic and free way to acquire some extra space in those packed houses of yours! How about the opportunity to rid yourselves of some of that old computer equipment, paint you’ll never use, old car batteries, old appliances… the list goes on and on! You don’t want or need any of this crap, people! Come on down and rid yourselves of this stuff. New this year, Clean Harbors will be accepting household hazardous waste items from Anthem residents. Examples include appliances, bleach, car batteries, cleaners, CFL light bulbs, computers, paint, pesticides, pool chemicals, oil, and tires. In addition, Safety-Kleen will also receive and recycle up to 1500 gallons of old paint. Five gallons of paint per Anthem household will be permitted. Republic Services and Westech Recyclers will be on hand to recycle acceptable large appliances, electrical items, telecom, audio/visual equipment, and other paper-, cardboard-, plastic-, metal-, and glass-based recyclable items. See complete list below. Shred-it will provide secure destruction of household sensitive materials including bank statements, check stubs, and credit card offers. The following items will not be accepted for shredding: metal, CDs, tapes, disks, binder clips and three-ring binders. File folders with metal will be accepted. Big Brothers and Big Sisters will assist residents with clothing donations and provide tax deductible donation receipts. Acceptable items include clothing, toys, linens, and small household items such as lamps, décor, and small appliances. If you have any more questions about this event, please contact us. 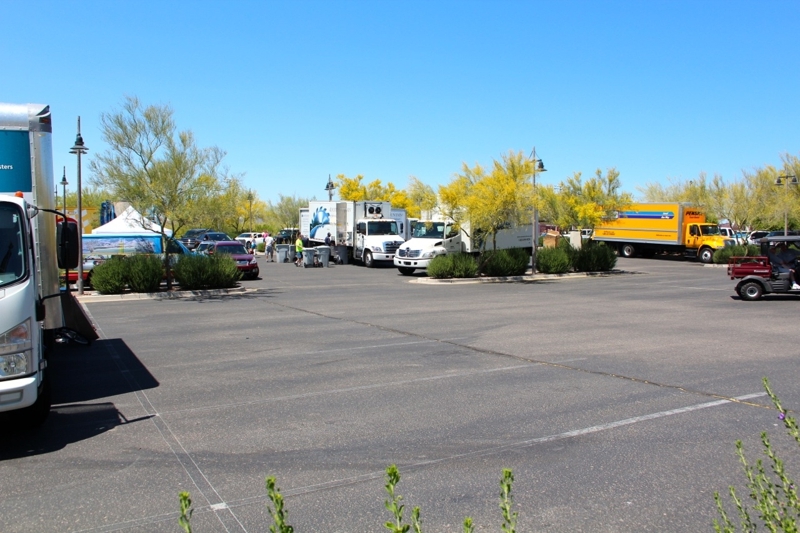 As Anthem, AZ residents, we would be happy to assist in making our community more clean and safe!